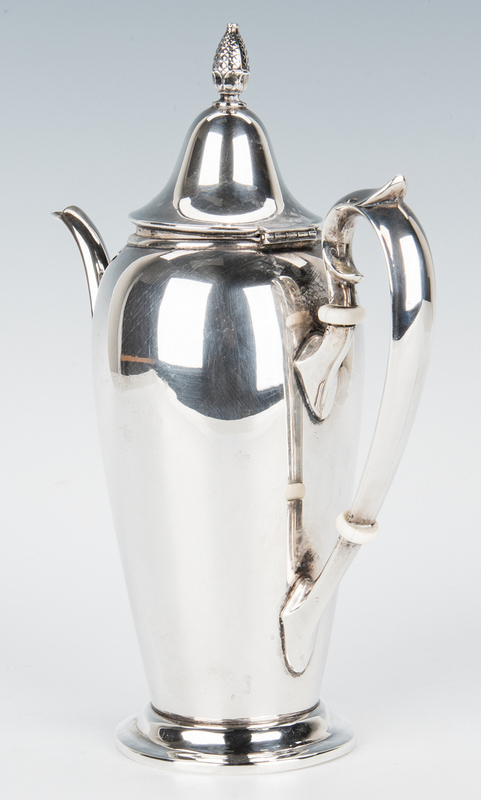 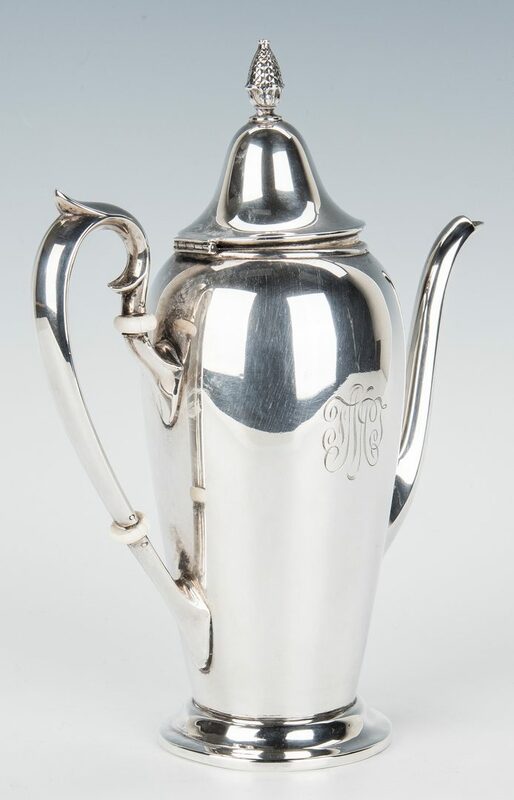 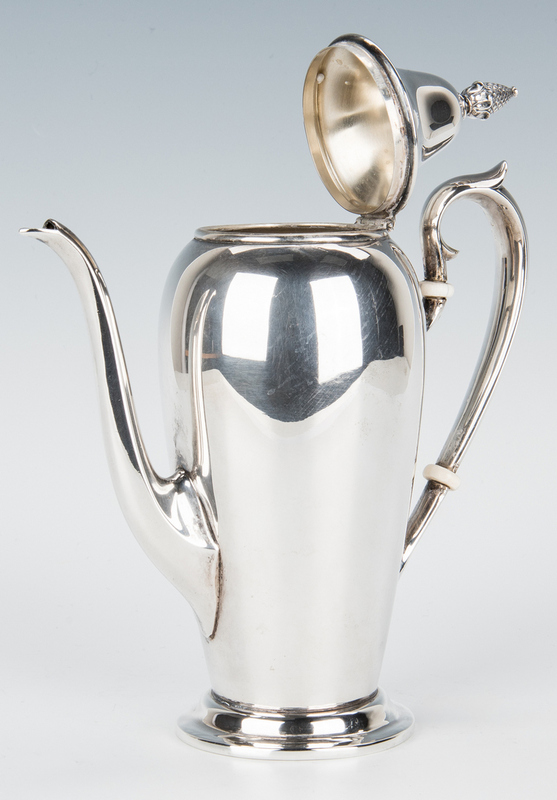 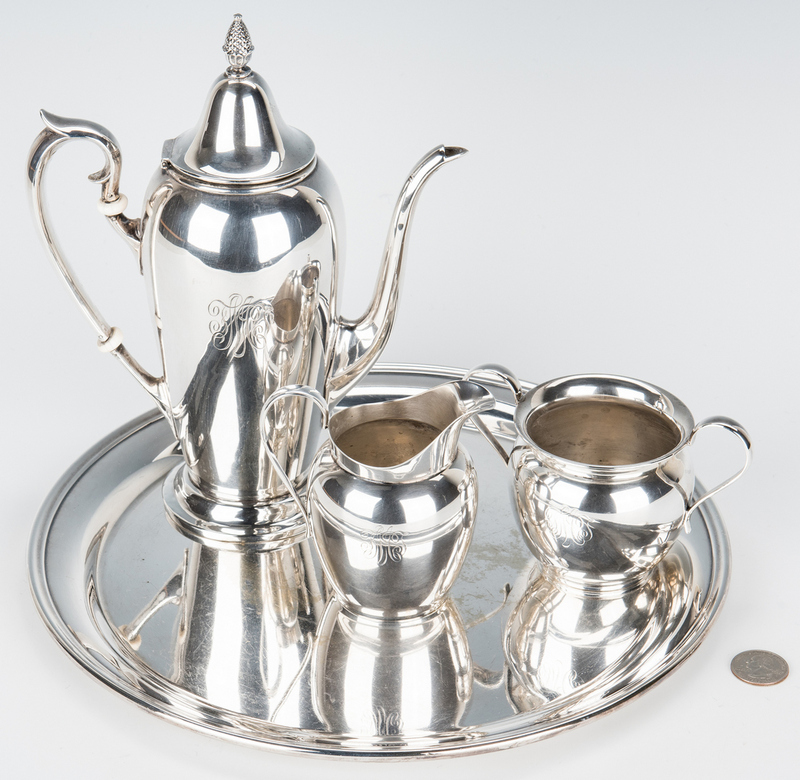 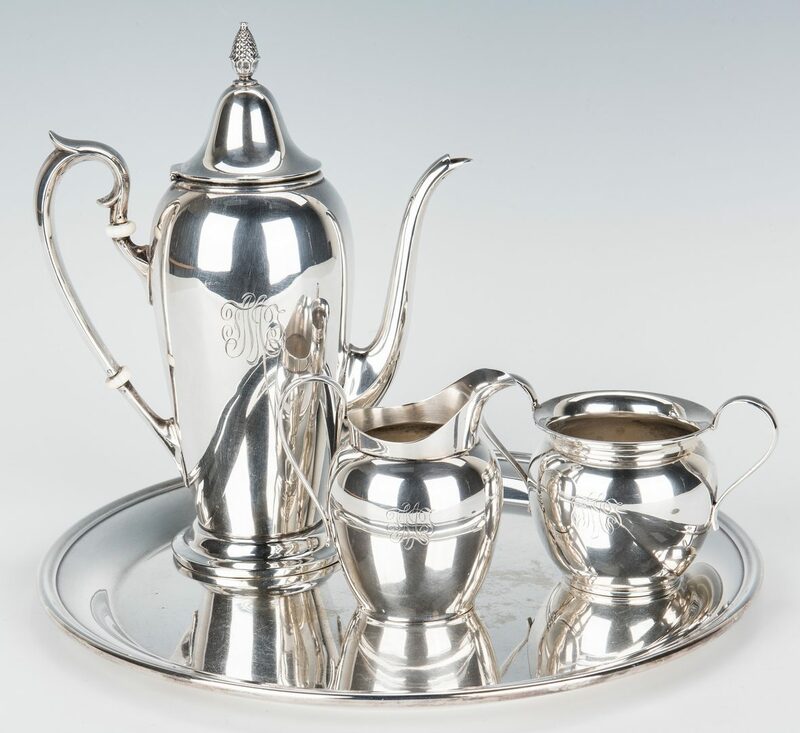 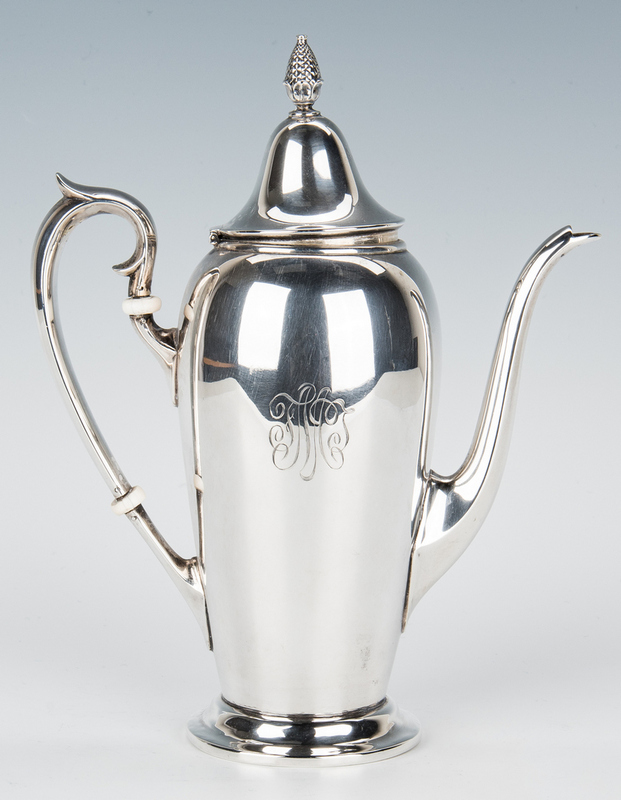 Watson sterling batchelor's coffee service, F1 pattern, comprised of a pot with pineapple finial and scrolled handle (8 3/4" H), open sugar bowl (3 1/4" h) and creamer (3 3/4" H). 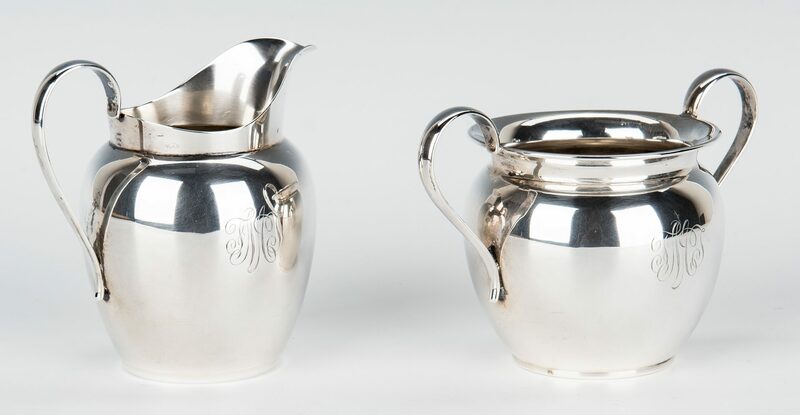 All pieces with three-letter script monogram. 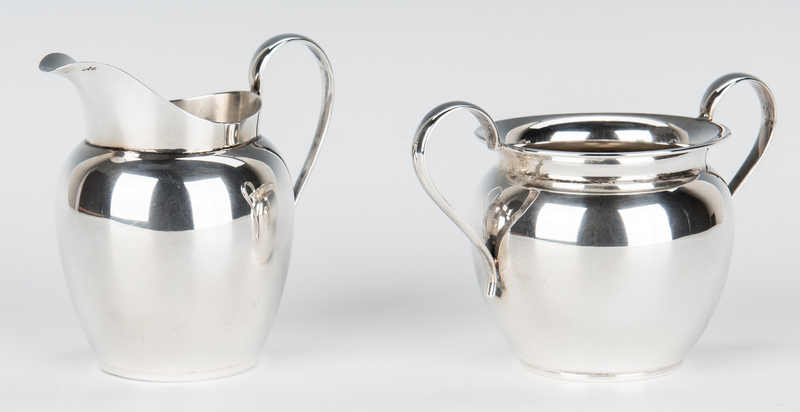 19.830 total troy ounces. 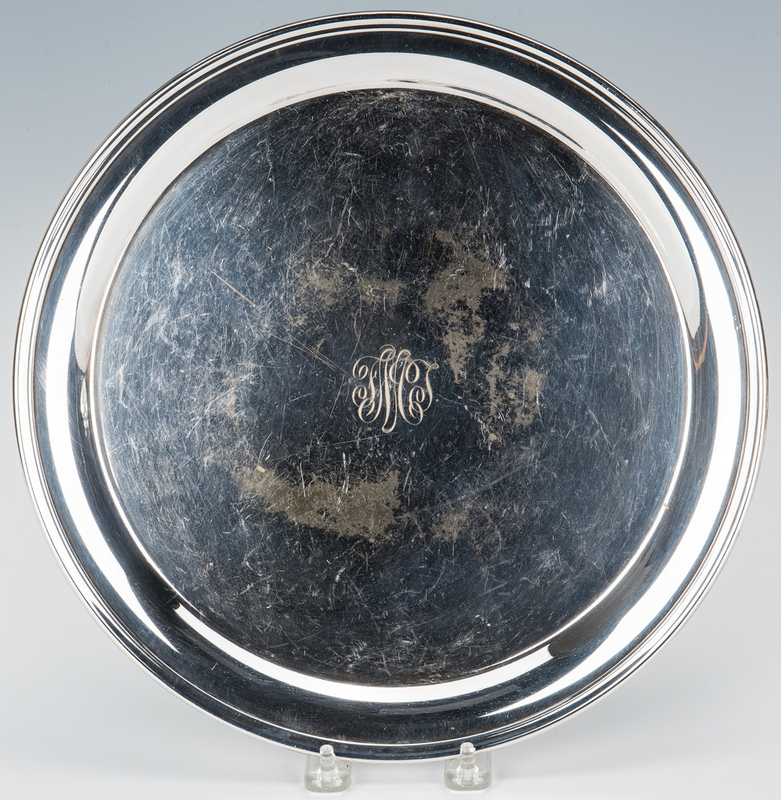 Together with a 12" round Gorham silverplate tray. 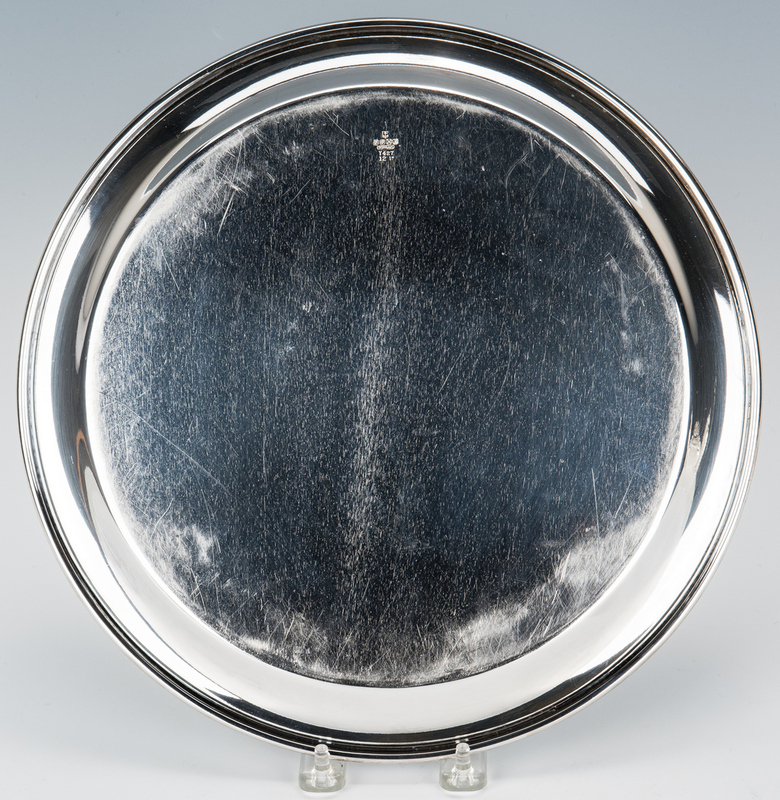 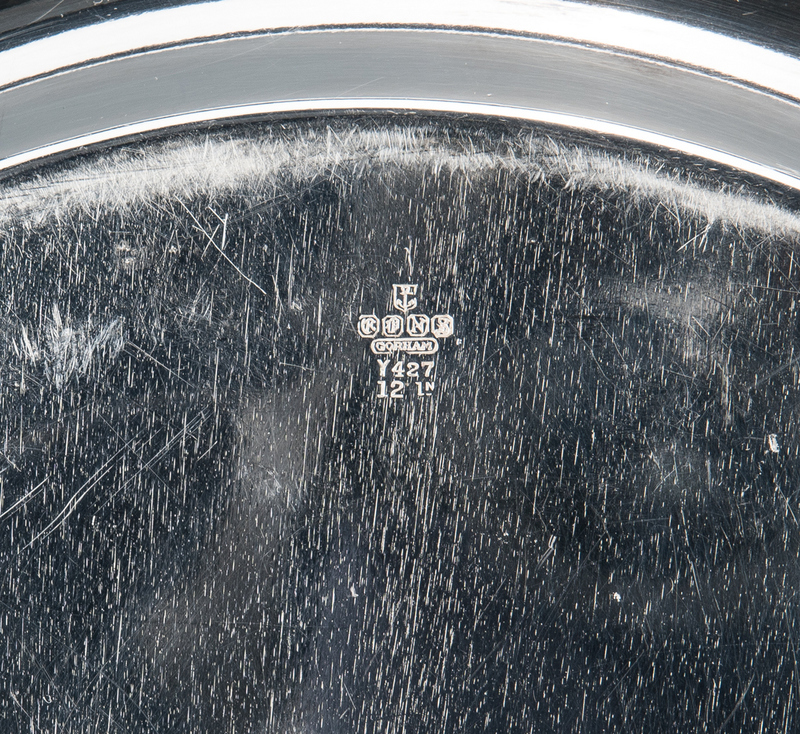 CONDITION: Coffee service and tray with light general use wear including light scratching, all pieces monogrammed. 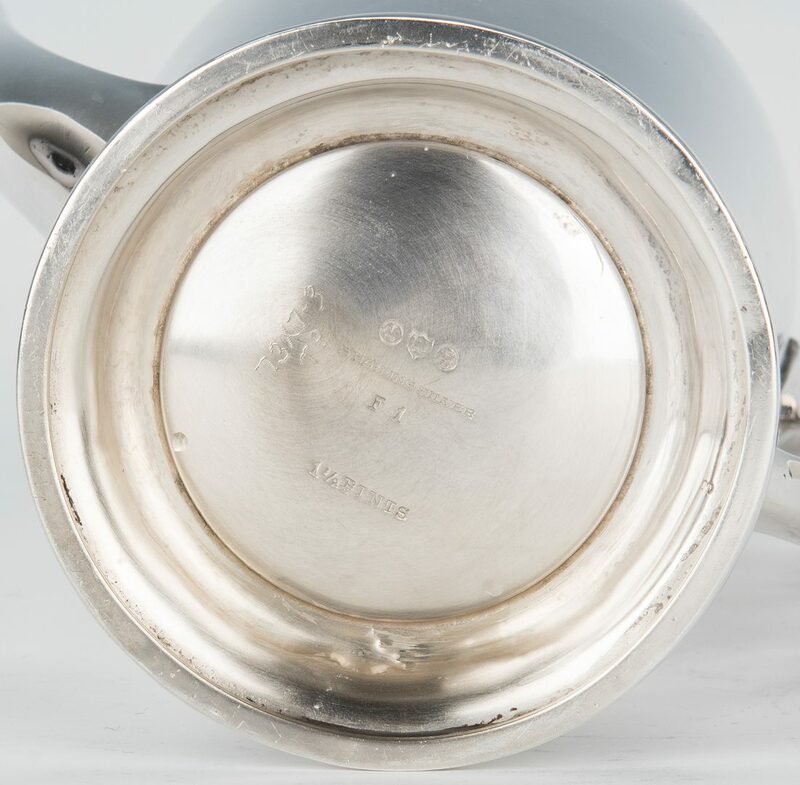 MInor dent to base of coffee pot.